Well I think I've finally found a decent Rays/Volk bronze paint!!! Obviously the outer rim needs to be shiny but lacquering this paint just makes it go really dark brown. I might experiment with a different colour for just the rim. It's not a perfect colour match & it's never going to be, genuine Rays/Volks are anodised or alumited or whatever you call it. My Fiat 750 painted wheels..
You try ringing me again the other day? I rang you back but you didn't answer. I'll ring you in a bit. Wheels look good, is that a carbon fiber vinyl wrap? So you havent lacquered the wheels at all then? I was thinking that as well, not a criticism as we all have differing tastes. I have a set of Volks CE28N's which I had refurbed and then painted in a BWM bronze with a matt finish and if I'm honest I should have gone with a gloss finish as the matt just looks dull. Last edited by ken-sti; 30 August 2012 at 05:12 PM. I’d like to see the 2 different BMW sepang bronze and fiat 750 Marron Volciano bronze in matt & gloss lacquer. 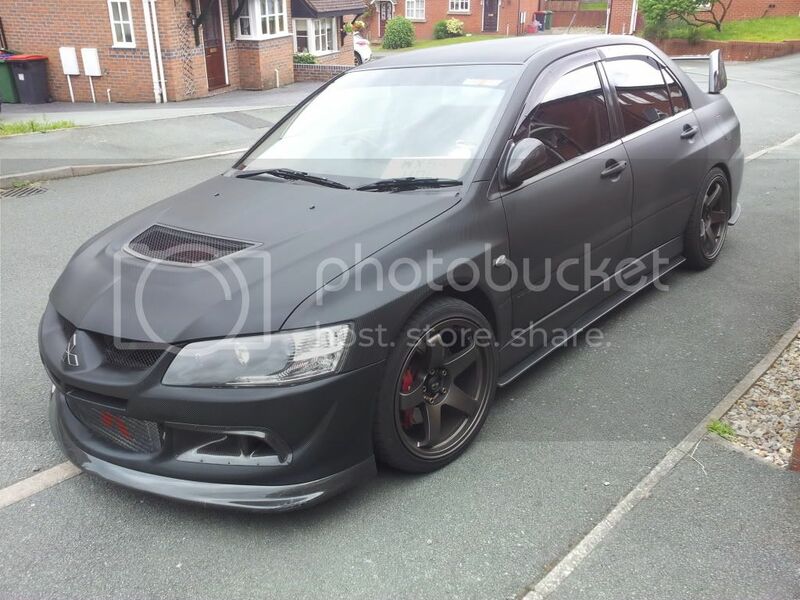 Been looking for some time to do mine in one of these and just cant make my mind up! Here are my CE28N's in matt BWM Sepang Bronze, unless they have some direct sunlight on them they look dull unfortunately, they do look better than in the pics as they needed a clean but in retrospect a gloss finish would have been far better. Yep, I remember watching your thread when you were re-spraying them. Thought they looked really good before lacquer and not too bad after but for some reason they looked much darker when fitted on the car and never looked as good IMO. You find these things by trial and error. I have used the BMW A32 paint on another set of wheels but I thought it wasn't gold enough like the Rays/Volk are. BMW A32 looked darker & more gunmetal to me. Yes mate all trial & error. Thought I would share what I found in case anybody else was after a decent bronze. With regards to the lacquering, I was mainly trying to replicate the finish of the original Volks. 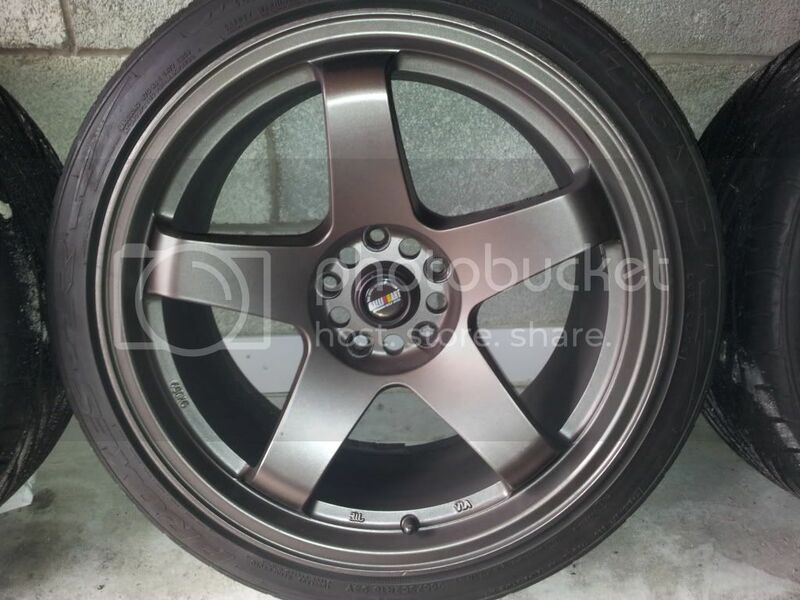 If you look at the finish of the wheels in the first 3 pics, they appear matt with a polished or lacquered rim. I might try a different colour with lacquer just on the rim so they match the original finish even more. 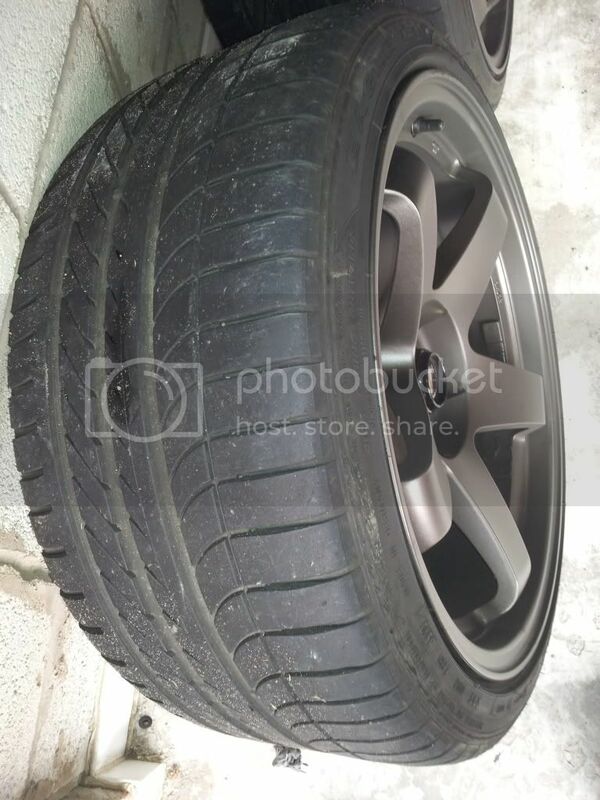 Thanks for that - been looking at refurbing my wheels and quite like the look of the BMW A32. Just a tip, maybe try some satin laquer. Shouldn't draken the metallic up as much as gloss will. Basecoat really needs lacquering to keep it protected. Well I think you've got closer than anyone so far finding a good substitute for the Rota/Rays bronze. Cracking job. Well shared info! That looks evil .....I want one. Fiat 750 Marron Volciano is the paint code. I just went into my local automotive paint supplier & looked through their massive collection of swatches. bump for this thread, top man you have succeeded in fixing the problem Rota have given themselves by changing their lovely matte bronze to what can only be described as grey no matter what they choose to call it. what do you use to detail your vinyl? I've bought some auto finesse stuff from Trax where the guy said it has no silicone in it so using it on 'matt wrap' will enhance the colour without putting a shine on it. Not tested it out yet though. Quick Reply: Well I think I've finally found a decent Rays/Volk bronze paint!! !